President Muhammadu Buhari has declined assent to the amended electoral bill (2018). Although Enang avoided making a categorical statement on the bill, he was clear about the National University Commission Amendment Act which the president assented to. “President Muhammadu Buhari has taken decision on Electoral Act Amendment bill 2018. In accordance with his power under the 1999 Constitution and has communicated that decision to the Senate and House of Representatives in accordance with the law,” Enang told reporters on Friday. When asked if it is safe to say he rejected the bill, he said “it is safe to say that the president has taken decision as allowed by low and has communicated that decision to the senate and the House of Representatives. 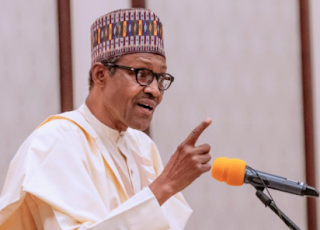 Opposition parties had mounted pressure on the president to sign the bill, with the Coalition of United Political Parties (CUPP) challenging Buhari to sign the bill to prove that he had not been cloned. This is the third time that the president would reject the bill. In March, Buhari withheld assent to the bill saying the proposed law would usurp the constitutional powers of Independent National Electoral Commission (INEC) to decide on election matters, including fixing dates and the order they would go.